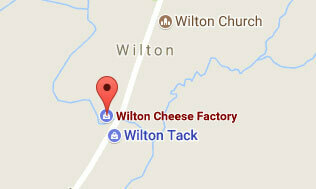 While visiting family in Kingston over the Easter weekend, we had the pleasure of visiting your Wilton shop. I am a great fan of cheddar and I asked the young lady at the counter her recommendation for "an aged yellow, somewhat crumbly cheddar with bite". She recommended your 4 year extra old and I was not disappointed! It is by far the best cheese I have ever tasted. Congratulations on a wonderful product. Are your products available in any stores in Nova Scotia?